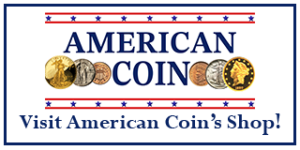 Country – Ensure that the coin was minted by the U.S. Mint. Most coins will display the phrase “United States of America” on them. Some that do not identify the country will have another phrase that is common on American coins, such as “In God We Trust” or “Liberty”. Denomination – Next, determine the denomination (face value) of the coin. In the United States of America, coin denominations are 1/2 cent, 1 cent, 2 cent, 3 cent, 5 cent (nickel or half-dime), 10 cent (dime), 20 cent, 25 cent (quarter dollar), 50 cent (half-dollar), 1 dollar, 2-1/2 dollar, 3 dollar, 4 dollar, 5 dollar, 10 dollar, or 20 dollar. 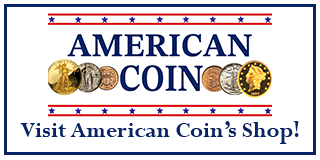 The remainder of this page lists over 95 percent of all American coin types. Usually, there is only one type per year. You can double check by clicking on the images for a better view. 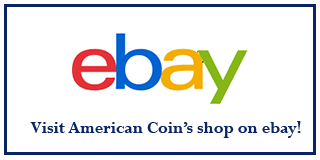 Condition – Now that you have identified the coin, you may want to determine its “Grade”. Check out our Grading Coins section for more details. When you are finished identifying your coin, we invite you to consider learning How to Buy Coins. 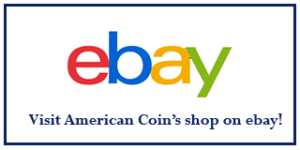 Valuations for each of the listed types of coins are estimates by American Coin using recent market data for grades of “Good” (G), “Very Fine” (VF) through “Uncirculated” (Unc). Of course, your coin may be worth substantially more due to date/mint mark rarity and other reasons. See our Grading Coins and What is it Worth sections for more details. However, it is nice to get a low baseline for what your coin may be worth. And you may find coins you need to complete your coin collection. Or if you are considering selling, look at How to Sell Coins. If you were unable to identify your coin, you may wish to Contact Us.